Renault is seeking to restart merger talks with Nissan within 12 months as the first step toward the creation of a bigger auto conglomerate that will involve a bid by both companies for Fiat Chrysler Automobiles, the Financial Times reported. The creation of a new alliance board led by Renault Chairman Jean-Dominique Senard has improved confidence that the two sides can push ahead with merger plans, the newspaper reported Wednesday, citing unidentified people familiar with both sides' thinking. A combination of Renault, Nissan, Fiat and Chrysler would create an automaker that could better compete against global competitors such as Volkswagen and Toyota. Carlos Ghosn, the former chairman of Renault and Nissan who was arrested in Tokyo in November on charges of financial wrongdoing, had held talks about merging Renault with Fiat Chrysler two to three years ago, the Financial Times reported, citing two unidentified sources. Ghosn’s proposal was stopped by the French government, the newspaper said. Ghosn, who is free on bail pending his trial, has denied the charges against him. Fiat Chrysler itself is seeking a partnership or merger, and Chairman John Elkann has met with other rivals including PSA Group to gauge the possibility of a deal, the newspaper reported. Spokesmen for Renault and Nissan declined to comment on the report. A spokesman for Fiat Chrysler had no immediate comment on the report. 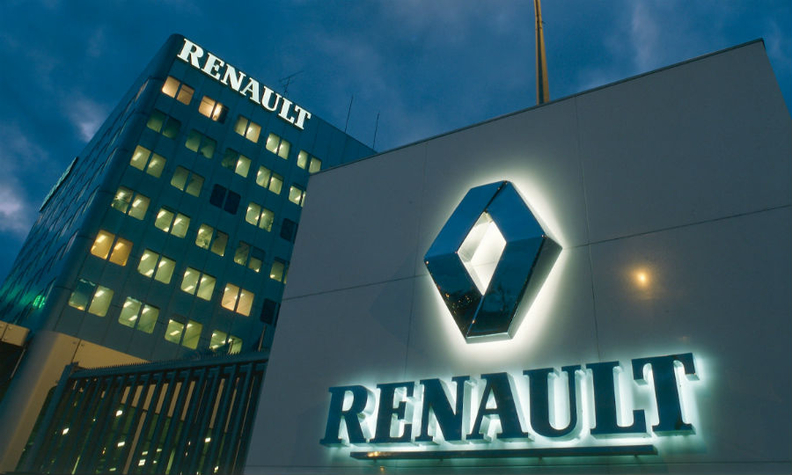 French government spokesman Benjamin Griveaux said France would not comment on the report and reiterated that the government's priority was Renault's alliance with Nissan. "The absolute priority for the French state is the Renault-Nissan alliance. The decisions that have been taken and announced during this month should allow us to focus on making that alliance work," Griveaux told reporters on Wednesday. Before his arrest, Ghosn had planned to cement the alliance of Nissan and Renault in a full merger. Still, such a move faced resistance from within Nissan, including from CEO Hiroto Saikawa. Instead of a deeper capital tie-up, Nissan has sought to improve the Japanese bargaining position in a partnership it has said has for too long favored the French side. The Renault-Nissan Alliance has often been cited as an example of a successful combination that did not go as far as a merger, underpinned by cross-shareholdings and cost cutting. Yet the partnership has been strained by the scandal surrounding Ghosn, with insiders from both sides saying trust between the two teams has degraded since the executive was jailed and ousted as chairman of both Nissan and Renault. Still, this month the partnership agreed to a new governance structure designed to streamline operational decisions, with Senard placed as the chairman of the alliance. Renault, which owns 43 percent of Nissan, has a market capitalization of about 16.8 billion euros ($18.9 billion). Nissan’s market value is about $35 billion, while Fiat Chrysler’s market cap is about $23 billion. Several reports emerged in recent weeks about merger discussions between PSA Group and FCA. On Monday, The Wall Street Journal reported that FCA had rejected PSA's overtures. FCA CEO Mike Manley, in a meeting with reporters in Geneva this month, refused to rule out any deal that could make the Italian-American company better -- which was noteworthy amid the PSA reports. Manley's predecessor, the late Sergio Marchionne, surprised the auto industry in 2015 by laying out a thought-provoking vision for the global business in a presentation called "Confessions of a Capital Junkie." Marchionne complained that the auto industry generates a low return on capital in large part because each automaker incurs the same high expenses of investing in r&d and capital costs to develop the same products and technologies and achieve the same results. In 2017 and 2018, more reports emerged that FCA was discussing deals with Chinese automakers such as Geely and Great Wall Motor Co. The president of Great Wall told Automotive News the company was interested in acquiring FCA's Jeep brand.